Each year the arrival of our summer visitors is well recorded. For example, in late spring and early summer many people contact me to tell me about the arrival of Swallows and House Martins in their area and the call of the Cuckoo is one that seems to encourage many people to get in touch. This year the first House Martin on Arran was reported on 31 March, the first Swallow on 1 April and the first Cuckoo on 15 April. The first arrival date of each of our summer visitors is reported in the annual Arran bird report. Less well recorded are their departure dates. 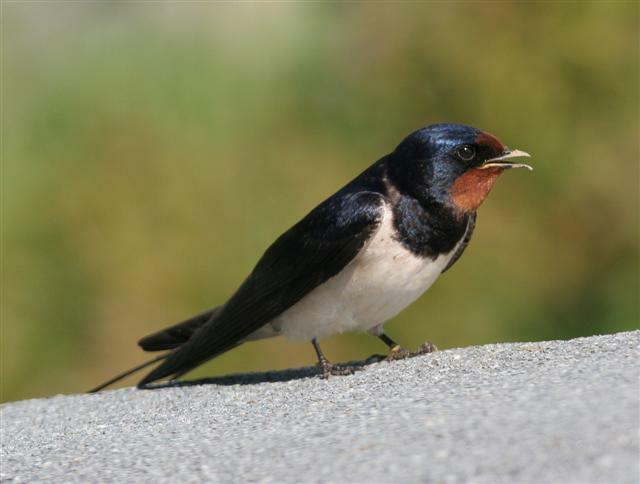 As summer moves into autumn our summer visitors head south, in the case of Swallows to South Africa, but what is the last date each of our summer visitors is recorded on Arran? While the first summer visitor is fairly easy to note. The last one in the autumn is more of a challenge. It may be days or weeks before you realise that they have gone. To get the departure dates for the summer migrants in your area, start by making a note each day that you do see each species in your area. While you may not see the species every day, eventually as time passes you will realise that you have not recorded it for a period of time and the species has departed. This year try doing this for Swallows or for House Martins and let me know when these species depart from your area of Arran.